Cupcakes at 9.30am are not normal. 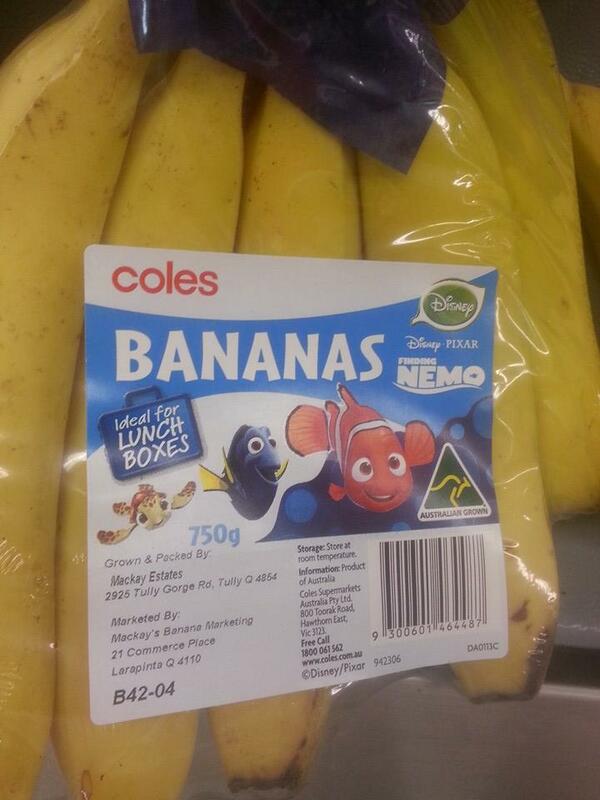 Branded Finding Nemo Bananas that attract a premium for the privilege of the plastic wrap are not normal. 1 small knob of organic ginger on a styrofoam tray wrapped in plastic is not normal. Breakfast cereals for a ‘good start’ without a single unrefined ingredient in them, is not normal. Cleaning products that clean our house while poisoning the sea are not normal. Microwavable frozen yoghurt with car coolant in it, is not normal. Snacking all day on weirdo packets of fakeness that do nothing to nourish us is not normal. Bread mixed in Ireland then shipped across the world and ‘baked fresh daily’ in a supermarket…. not normal. Sun creams with more known carcinogens than sun protective ingredients is not normal. Instead of opening a window, they create a ‘fresh air system’ that involves toxic endocrine disrupting chemicals – it’s not normal! Baby’s toys that disrupt their hormones are not normal. Unless… we say it is. Because it isn’t. What would you add? Real Food. Low Tox. Happy Bodies. Happy Planet. “Organic” products with preservatives and/or stored in BPA lined tins. i love this …. Well said! Strange to me that the more affluent our society has (generally) become, the poorer our food choices have become too. We can now choose to buy branded, heavily-packaged, nutrient poor food for our children. Indeed! I am constantly shocked in my local park. We are completely mindless. Changing that one day and one idea spread at a time! Mmm. My daughter (3yo) was offered a slice of freeze-dried packaged apple – she did eat it…but it made me wonder how exactly the packaging on a plain old ordinary juicy red apple could be improved. I didn’t dare look at the ingredients list to see what else might have been in the innocuous looking “organic” product. Yes… ‘eazy fruit’ is the brand name – I thought fruit *was* easy!?!?! Yes I agree. It is about time we did something about this situation. Is it just that people are not educated or don’t they care. I was in a private hospital canteen recently and the food available was not healthy or edible. This is what the hospital staff feed themselves on. No wonder so many people have health issues. Oh I so hear you on this! I was similarly disgusted when I discovered these in Coles. Another thing that’s not normal? ‘Organic’ cage eggs. Greenwashing at it’s finest right there. Nothing surprises me anymore. Bananas do not need plastic packaging. They already come in their own package. Excellent article by the way!! Whey products in everything! – Not normal. Bright artificial colours everywhere – Not normal.